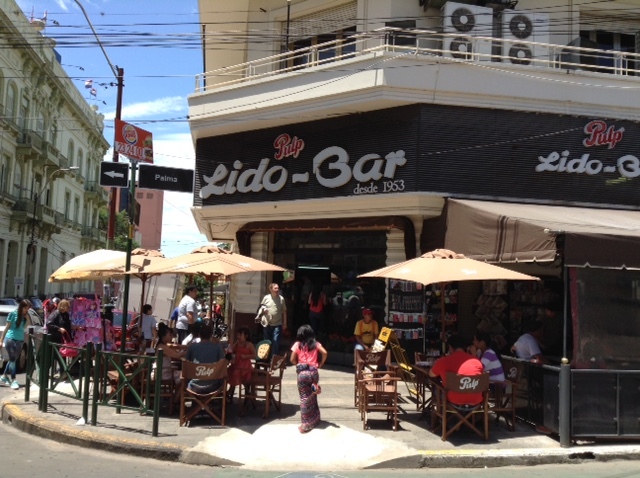 In the city is Lido Bar, a traditional restaurant with a 50’s style bar with stools in downtown. Anthony Bourdain did a show on Paraguay and ate here, Mike ordered the sandwich he ate on the show and I had the fish soup. Both excellent. Adan, a Transformation Paraguay team member, and now friend who was a wonderful guide for the day. Fresh juices are served wherever you go and they are so refreshing. There are empanadas on every street corner it seems, tortas are common as well as Milanese and a sweet light corn bread made with lots of eggs. 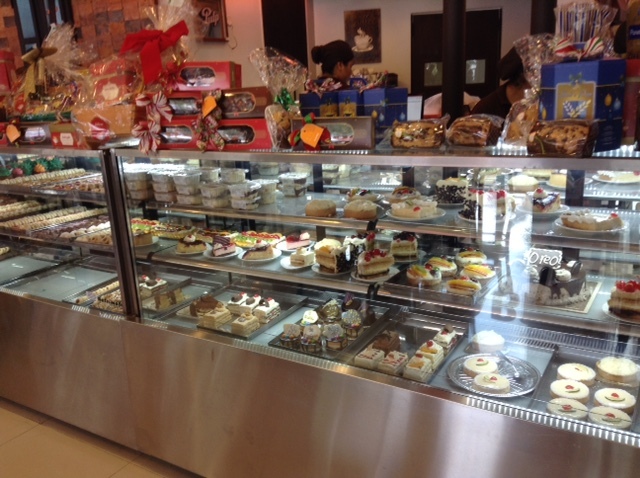 Bakeries are everywhere and we need to stop eating these delicious goodies! 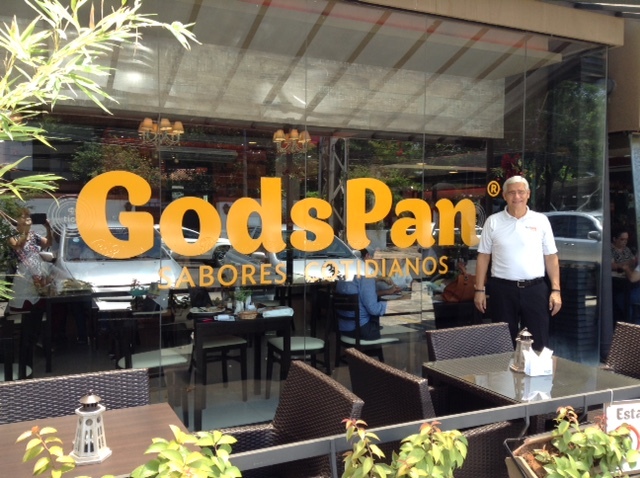 One of the companies that are going to start the round tables is Gods Pan – a very nice restaurant/bakery. They treated us for lunch and sent us home with two bags of baked goods. Perks of the job 🙂 There are 5 of these restaurants throughout the city. While coming home from downtown the realization of just how privileged we are washed over me as we passed an area of cardboard and tin makeshift shelters. The gap between the wealthy and poor is so great. Why was I born where I was? I had nothing to do with that. There is so much opportunity in the U.S. and Canada, even if you aren’t wealthy you live so well compared to so many in other parts of the world. We are here bringing values to Paraguay, to transform a country. A big goal, but we serve a big God. 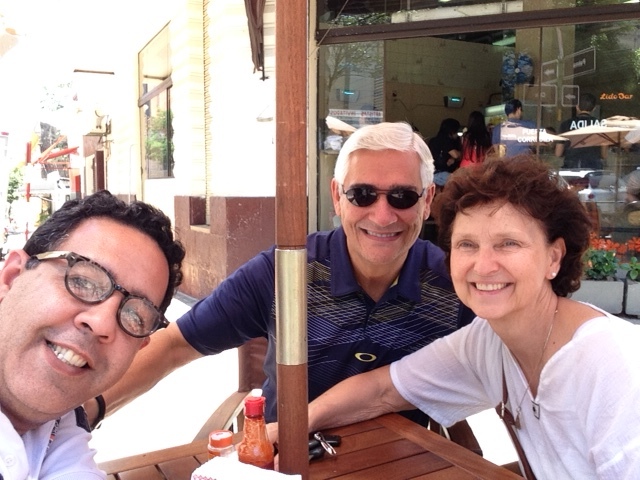 LaRed has been working in Guatemala for 20 years faithfully teaching principles and values through round tables. John Maxwell has also been going there for years teaching leadership. Two years ago we teamed up, John Maxwell, Guatemala Próspera and LaRed, bringing the weekly process of bringing change through values. Just a couple of months ago Guatemala had a change in Government without a civil war or firing a single shot. 100,000 people demonstrated outside the Government buildings and demanded an end to the corruption of both the President and Vice-President. Today they are both in jail and they have a new President. We are teaming up again here in Paraguay, bringing principles of values and principles of leadership, bringing hope, sharing ourselves and our privileges. The Paraguayans are ready, the government is ready, they are ready for transformation. Only by the spirit of God can lasting transformation happen, can true change begin, because true change has to happen in our hearts, in each of our hearts, and each person matters.